This past Sunday, World Wrestling Entertainment held its WrestleMania 35 event at MetLife Stadium in East Rutherford, New Jersey, and the event featured several MMA connections. Former UFC Women's Bantamweight Champion Ronda Rousey competed at the event, losing the Raw Women's Championship to Becky Lynch in the main event, which furthered rumors of her taking a break from pro wrestling to start a family with ex-UFC heavyweight Travis Browne. And though it's unlikely we'll ever see Rousey compete in MMA again, another ex-UFC star who lost at WrestleMania is close to a return to the Octagon. Earlier in the night, former UFC Heavyweight Champion Brock Lesnar competed, losing the WWE Universal Championship to Seth Rollins. But unlike with Rousey, Lesnar losing his match puts him one step closer to returning to the UFC and fighting Daniel Cormier for the heavyweight title. This is a fight that was originally targeted last July, when Cormier brutally knocked out Stipe Miocic to win the belt at UFC 226. During the post-fight interview, Lesnar entered the Octagon to confront Cormier, and the UFC said this would be the next heavyweight title match. Due to Lesnar's WWE contract, the plan was for Cormier to take a break and heal up his injuries until Lesnar was cleared to return to the UFC. However, things didn't go according to plan, as Dana White called on Cormier in desperation just a few months later to headline UFC 230 opposite Derrick Lewis. Cormier submitted Lewis easily, and then decided to take another break until Lesnar was ready. White told reporters on numerous occasions he had no idea when Lesnar would be ready to return to the UFC, but with Lesnar losing his WWE belt, it seems pretty obvious that the time is close at hand. Cormier vs. Lesnar is a big fight, not only for both men, but for the UFC, its fans, and ESPN as well. 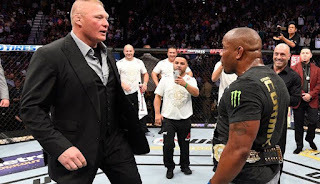 Cormier is one of the greatest fighters in the world right now, and Lesnar, despite not having an official MMA victory since a 2010 submission win over Shane Carwin, is still one of the biggest names in the UFC. This is a fight that's going to make everyone involved a lot of money, and despite Lesnar not deserving a heavyweight title shot based on actual merit like Junior dos Santos or Francis Ngannou, everyone seems to realize that he makes sense as Cormier's next opponent just because it's the biggest money fight out there. 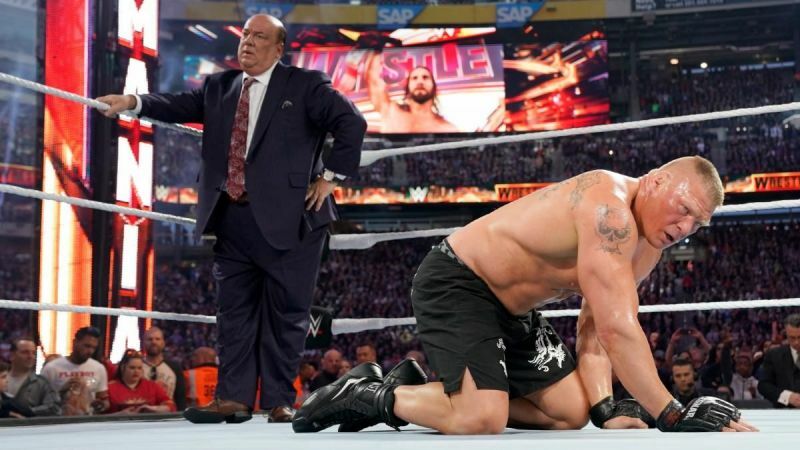 However, we still don't know when Cormier vs. Lesnar will take place. UFC 239 looks like it's full with Jon Jones vs. Thiago Santos and Amanda Nunes vs. Holly Holm already on the card, so UFC 240 or UFC 241 look like better options. The UFC doesn't really need to stack the card for Lesnar's return since he's going to attract so many PPV buyers just on his name value, so don't expect the event he returns at to be crazy stacked or anything. But it's good to know that we have somewhat of an idea now of when this fight could finally take place. The UFC is set up for a massive 2019. With the ESPN deal in tow, the promotion is in great shape, and with Lesnar's return imminent, things are looking very bright right now for the UFC.